Sorry, Jack. WE THE PEOPLE aren’t expecting this to work out too well for you here. I’ll be angry if: Swagger wins. I’ll keep my cool if: Rusev wins. Lana gets some mic time. WWE debuts a new match-long picture-in-picture feature, making sure Lana is ALWAYS on screen, while also allowing us to watch the match. Lana = ratings. What I’m expecting: Rusev makes Swagger tap to the Accolade, after a few minutes of #HOSSDIVISION action. Rusev continues to kill Swagger post-match. 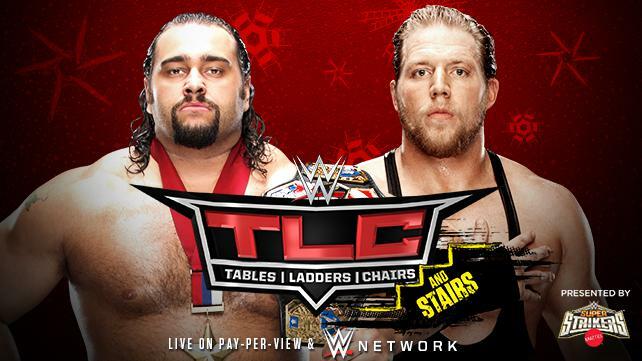 Rusev’s next opponent makes his challenge, OR Rusev prepares to dominate in the Royal Rumble.